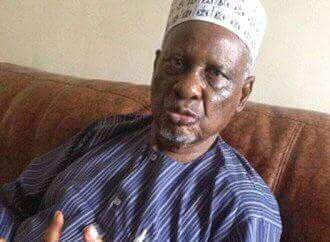 A Second Republic politician, Alhaji Tanko Yakasai, has affirmed that the presidential candidate of the People’s Democratic Party (PDP), Alhaji Atiku Abubakar, is qualified to contest for the office of the President adding that he is a bona fide Nigerian citizen. The elder statesman was responding to an allegation credited to the legal team of the presidential candidate of the All Progressives Congress (APC), President Muhammadu Buhari, that the former vice president is not a Nigerian but a Cameroonian. Tanko in a statement he personally signed and made available to journalists in Kano, said that it is “strange for leaders of the ruling party in Nigeria, the APC, to claim that former vice president, Atiku Abubakar, is not qualified to seek to be the president of Nigeria. He recalled that “before 1st of October, 1960, both southern and northern Cameroons were trusteeship territories under Nigeria in accordance with Article 76(b) of the United Nations Trusteeship Agreement of 1946. He explained that “in 1946, with the demise of the League of Nations and the emergence of the United Nations, the Mandated Territories were taken over by the new world body and reassigned to the same colonial powers as Trusteeship Territories. Still Britain continued with administrative structures of the territories as same. “Indigenes of the former Trusteeship Territories who chose to be part of Nigeria are equal in all respect to every Nigerian in terms of patriotism, citizen rights and privileges,” he stated.